Buy the Book: Getting to Know Web GIS is available in print or as an e-book. You can purchase the workbook at online retailers worldwide including Amazon and Barnes & Noble, at esri.com/esripress, or by calling 1-800-447-9778. Outside the United States, visit esri.com/esripressorders for options on how to purchase the book, or contact your Esri distributor at esri.com/distributors. Getting to Know Web GIS shows readers how to build web GIS applications step-by-step using Esri technology. With an estimated three billion people using the Internet, it's no wonder that GIS is rapidly moving onto the web. Web GIS is becoming more popular within government agencies, businesses, and other organizations around the world as public demand skyrockets for services that include maps. That's why learning web GIS is a must, especially for students who plan a career in geospatial technology. To teach them the fundamentals, Esri recently published Getting to Know Web GIS, a new how-to workbook that teaches, step by step, how to build and share web GIS apps quickly and easily using the Esri ArcGIS platform. The apps can be used in a browser on any type of device, from the desktop to a mobile phone. 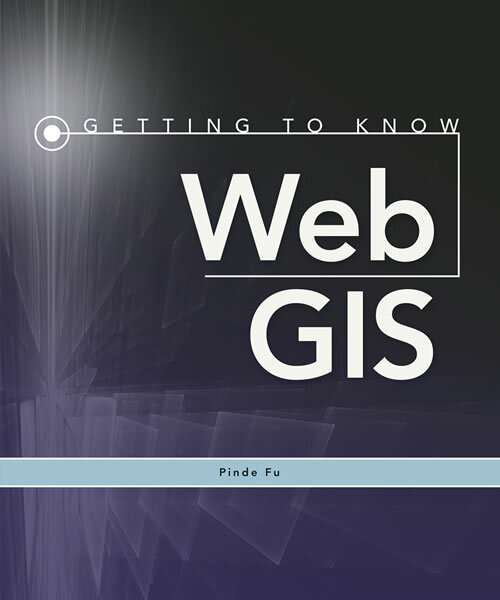 Getting to Know Web GIS, written by Esri senior web GIS application developer Pinde Fu, is a follow-up to the popular 2010 book Web GIS: Principles and Applications, which Fu cowrote with professor Jiulin Sun from the Chinese Academy of Sciences. After getting schooled in the basic concepts of web GIS, readers were clamoring for help to build web apps. 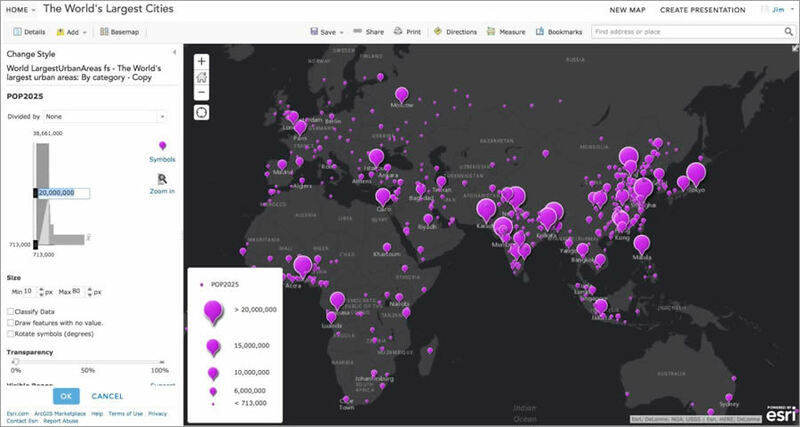 "People were asking, 'How do we develop web GIS applications? Do you have a workbook to do that?'" Fu said during an interview at his Esri office in Redlands, California. At first, Fu hesitated to write Getting to Know Web GIS because web-based GIS is a fast-changing field. Something written today could be out of date tomorrow. Author Pinde Fu works at Esri. But a couple things changed his mind. First, there's a growing demand for web GIS from organizations and a public hungry to consume geospatial services such as maps and apps via the Internet or intranet, no matter where they live in the world. 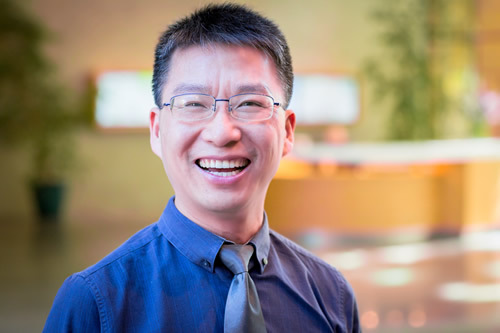 "Web GIS has really unlocked the power of GIS to deliver spatial intelligence to a lot of places and organizations that desktop GIS cannot reach," Fu said. Second, there's an increasing demand for professionals with a solid working knowledge of web GIS. But there are few university-level workbooks available to teach them about the technology and techniques. "There is a fundamental need to add web GIS to the university curricula for GIS," Fu said. "Without knowledge of web GIS, a graduate will leave the university lacking a full understanding of the capacity of GIS, as well as the current technology used in the workplace." "Students develop an app in each chapter," Fu said. They will learn how to set up an ArcGIS Online account and prepare data for, configure, and share web apps using templates such as the Esri Story Map Tour. 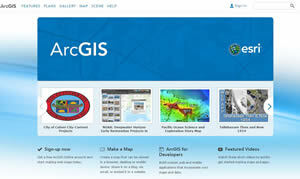 They will also create map services and time-animation web apps, build map services and comparison web apps, publish feature services, create web apps for volunteered geographic information (VGI), and use the new Web AppBuilder for ArcGIS to create apps and configure widgets. The book covers how to create apps using ArcGIS Online. Getting to Know Web GIS also is available in both print and e-book editions. The e-book can be viewed on Amazon Kindle, Android and Apple tablets, and other devices. "The e-book edition is also easier and quicker to update when needed, making it easier for people to learn about the most recent Esri web GIS product updates," Fu said. Fu said web GIS got its start in the Silicon Valley in California when Xerox developed a simple web map viewer in 1993. Since then, applications have grown more sophisticated, and Esri is at the forefront of developing technology that is going to make web GIS more intuitive and widely used. For example, ArcGIS Online Smart Mapping will make it easier than ever to create attractive and visually stunning maps, said Fu. ArcGIS GeoEvent Extension for Server can connect with virtually any type of streaming data feed, process the data continuously and in real time, and enable web GIS in real time. And ArcGIS Pro reinvents 3D design capabilities, allowing users to publish web scenes to build highly scalable and responsive 3D web apps, he said. Esri developed Smart Mapping to help people make more useful and beautiful maps. How has the web changed GIS? That, said Fu, is like asking how the web has changed computer science. According to Fu, web GIS has an inherent advantage over desktop GIS in that it has a vast global reach. "As a developer, when I develop a web app, the whole world can see it," he said. "As a user, I access web apps from around the world using my computer or cell phone. With a desktop app, you could never do this." Web GIS apps also can run on multiple platforms, including mobile devices. And a web GIS system is easy to use and fairly easy to maintain, Fu said. Plus, the average cost per user is low. "Instead of buying and setting up a desktop GIS for everyone, an organization can set up just one web GIS," he said. "This single system can be shared by many users—from home, at work, or in the field. The reduced costs in purchasing and maintenance help to provide a high return on investment." Web GIS holds great promise in the coming years, according to Fu. He predicts that in five to 10 years, web GIS will be more integrated into people's daily lives as part of the Internet of Things. GIS will be connected to gadgets, cars, eyeglasses, watches, sprinklers, and drones, he said. For example, in the future, self-driving cars would have GIS-based mapping systems that would bring in real-time traffic data including accidents—information that would trigger the car to be rerouted to avoid the problem locations, Fu said. And GIS could be used to help route deliveries of goods by drone, he said. GIS also will be more deeply integrated into infrastructure to help create smarter, more resilient cities. "Bridges, roads, the smart grid, water supply systems, dams, oil and gas pipelines…they all have locations," Fu said. "Web GIS will be used to intuitively, immediately locate, track, search for, display, interact with, control and analyze, manage, and respond to environmental changes and make smart decisions to realize the smart city/earth vision."